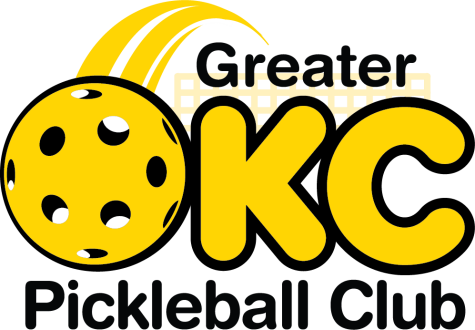 (a) To promote the sport of Pickleball within the Greater Oklahoma City area. (b) To operate exclusively as a club that is organized and operated for pleasure, recreation and other non-profit purposes within the meaning of Section 501 (c) (7) of the Internal Revenue Code of 1986. (c) No part of the net income or net assets of the Corporation shall inure to the benefit of, or be distributable to, its directors, officers, or members. (d) To exercise such of the rights, powers, duties and authority of a nonprofit corporation organized under the Nonprofit Corporation Act of the State of Oklahoma. Section C. The mission of the GOPB is to facilitate the growth of Pickleball in the greater OKC area for the enjoyment, health and social engagement of all players by offering organized recreational and competitive play, by insuring opportunities for the continued development of all players in a collegial and sportsmanlike environment, and by working to expand facilities as needed. Section D. USAPA Affiliation- The GOPB is a USAPA-affiliated club and affiliated activities are performed within the guidelines of the USAPA. USAPA is the United States of America Pickleball Association, which sets national standards for equipment, rules of play, and player ratings. Section E. Non-Profit Status- The Club shall be operated as a Non-Profit Corporation in accordance with Oklahoma and other applicable statutes. Non-Profit is defined as: With few exceptions, club income shall not greatly exceed expenses (operating expenses and capital requirements), resulting in a net operating gain. Section A. Board of Directors. The Board of Directors shall consist of Seven (7) Officers. Officers consist of a President, (3) Vice-Presidents, Treasurer, Secretary, and Membership Director. Officers shall be voted in by majority vote of club membership at annual meeting. Officers will have voting privileges for decisions made regarding the operation of the club. Section B. Advisors. The Board may select up to three non-voting advisors to attend Board meetings. Section C. Terms of Office. All officer terms shall be for two years and are limited to two consecutive terms in office. No officer shall serve more than four consecutive years. An officer may serve again after a one year break. Section D. Descriptions and Duties of Officers. The duties of the various Officers are briefly described below. The Board shall also provide a more detailed Policies and Procedures Manual to supplement these descriptions. D1. President. Shall preside over all Club meetings and be accountable for administration of club business. D2. First Vice – President. Shall perform all duties of the President in the event of the President’s absence or inability to perform, and shall perform other such duties and responsibilities as may be assigned from time to time by the President. The First Vice-President shall be designated by the Board from the three Vice-Presidents elected by the members. D3. Second Vice-President. Shall perform other such duties and responsibilities as may be assigned from time to time by the President. D4. Third Vice-President. Shall perform other such duties and responsibilities as may be assigned from time to time by the President. D5. Secretary. Shall record minutes of Board of Directors , keep club records, and issue notices of all meetings of the Board or General Membership. D6. Treasurer. Shall receive and deposit all moneys due to the Club. Pay all obligations that may be incurred by the Club in the regular course of its business. Shall provide an up-to-date ledger of all financial transactions, and provide financial reports as may be required at all meetings of the Board or General Membership. D7. Membership Director. Shall maintain membership records and rolls, and encourage new members to join the club. Section F. Election of Officers and Board Members and Replacement of Vacancies. All officers shall be elected by a majority vote of those present at an annual membership meeting previously announced for the purpose of the election. Officers shall serve without compensation. Nomination Committee: A team of two (2) Club Members appointed by the Board and the (3) Vice-Presidents shall make up the “Nomination Committee”. They will present prospective Board members to the Board by the third week in the month prior to the General Election. Should any of the club Vice-Presidents be actively running for another position on the GOPB Board, another Board member who is not running for other GOPB Board office can be appointed by the President to assist the two club members as part of the Nomination Committee. A general meeting will be held to present the slate of all candidates for outgoing officer positions, including those candidates received from the membership during the 30-day period prior to the meeting. All candidates will be put to a hand or secret-ballot vote, as required. A secret-ballot vote will be used if more than one candidate is proposed for any position; otherwise a hand vote will be used. At the first Board meeting following the beginning term of new officers, the board shall designate a First, Second and Third Vice-President from the (3) Vice-Presidents elected by the members. Should a vacancy not be filled at the general meeting where elections are held, the President shall fill the vacancy as he or she sees fit with the concurrence of a majority of the Board. The President shall count as one vote towards determining a majority. Section G. Governing Authority. The Board of Directors shall have overall governing authority over the Club consistent with the provisions of these bylaws. Section A. Meetings of the Membership: General Membership meetings shall be held not less than once annually, the time and place of such meetings to be determined by the Board. The President will preside at all such meetings. These meetings will be open to all members. A minimum of 10% of members eligible to vote shall be necessary to conduct any business of the club at any General Membership meeting, and except as otherwise specified in these bylaws, a simple majority vote of the membership present shall be sufficient to conduct any business requiring a vote of the membership. Section B. Meetings of the Officers and the Board. The President may call meetings of the Board at any time by giving notice orally, in writing or by Email. The time and place of such meetings shall be determined by the President. A majority of Board members present shall constitute a quorum of the Board and therefore, may conduct any business brought before the Board at such meetings. Board members not present may be allowed to participate and vote via electronic interaction at such meetings. Except as otherwise provided, a majority vote of those present or participating electronically shall be sufficient to conduct any business requiring a vote of the Board. In the event of a tie vote, the President’s vote shall be used to break the tie. Board meetings are typically open to all members. Section C. Executive Sessions. From time to time the Board may determine that they must meet privately to consider different issues. These private meetings are known as Executive Sessions and can either be convened as separate meetings or, during a normal meeting of the Board, a recess may be called and an Executive Session convened in order to have an opportunity to discuss input that has been offered in the regular meeting. Executive Sessions are not open to members. Section D. Meeting Protocol. Questions of protocol not determined in bylaws should be resolved by reference to a current edition of Roberts Rules of Order. Section A. Membership shall be open to all persons ages 12 and up. Section B. There shall be no precondition for club membership, nor will members be required to join any national, state, or regionally affiliated organizations. Club members should note that play in certain tournaments sanctioned by other organizations may require a membership in that organization to participate. Section C. Dues. The Board of directors shall set dues appropriate to the needs of the Club. For a Family Membership, a family is defined as being a maximum of two parents along with their children/dependents (up to the age of 26) living in the same household or who are qualified students. Section D. Members in Good Standing. “Members in Good Standing” are all members who are current in their payment of dues and who have abided by the rules of the club relative to the organization of events and conduct on the court. Only members in good standing age 18 and over may vote on club matters requiring a membership vote. Section E. Establishment and Enforcement of Rules of Organization and Behavior. The Board of Directors may establish rules for organization of activities and for member conduct on the courts. These rules shall be designed to insure fair treatment for all and sportsmanlike behavior. Section F. Removal of Membership. Members are expected to abide by all club rules, and as such the Board of Directors at its discretion may warn any member not abiding by these rules. Upon a member receiving a second warning for the same type of offense, the Board of Directors may remove that member from the GOPB. Members who are removed will lose their membership and will be refunded the pro rata portion of their pre-paid membership dues. Section A. Maintenance of Financial Records. Financial records shall be maintained by the Treasurer and retained according to all applicable regulations. Section B. Expenditures. Any non-recurring (not previously approved) expenditure over $1,000.00 requires approval by a vote of the Board of Directors according to the standards for such meetings. Section C. Review of Financial Records. The Club’s financial records may be reviewed by qualified persons or organizations at the discretion of the Board of Directors or by a vote of the majority of the Club Members. Section D. Annual Budget. The Board shall prepare an annual budget to be presented to the General Membership at a regularly scheduled membership meeting. All assets of the Club shall be physically inventoried at least once annually and a written record thereof shall be maintained by the Treasurer. Section E. Club Accounts and Transactions. The Club shall maintain such checking, savings, credit card, or PayPal accounts approved by the GOPB as may be necessary, in the opinion of the Board, to properly conduct the Club’s business. Section A. Organization and operation of committees. There are two types of committees. Standing committees have ongoing functional responsibilities within the club. Temporary, or single purpose committees, exist to perform a single purpose and do not regularly meet otherwise. All committees should have a clearly defined mission statement and will meet as often as appropriate. A standing committee should meet at least once a quarter or more often as appropriate. A temporary committee should meet only as appropriate. Section B. Chairpersons. For standing committees, a Chairperson shall be appointed by the President and ratified by a vote of the Board. Standing committees can be established or modified only with Board approval. Temporary committees may be established by the President, Board, or the functional head to whom the committee reports. Section C. Description and Duties of Committee Chair Persons. The Club shall have the following standing Committees whose basic duties and functions are described below. A Committee Handbook will provide more details for each committee, and be updated as needed. In cases where the duties of two or more committees may overlap, the Board will provide direction and encourage cooperation. Temporary or single-purpose committees may also be formed as needed. C1. Communications. Responsible for management of all communication channels inside and outside that involve the GOPB. C2. Court Operations. Responsible for coordinating locations, court times, and types of play by members of the GOPB. C3. Training. Responsible for all issues involved in the instruction of Pickleball, developing player skills and knowledge of rules and court etiquette. C4. Ratings. Responsible for maintaining a consistent rating system within the GOPB. Ratings help promote competitive balance among members and measure the degree player development. C5. Leagues. Responsible for establishing assorted league play for GOPB members..
C6. Promotions. Responsible for promoting Pickleball and the GOPB to the general public in the Greater OKC community. C7. Social Activities. Responsible for promoting social interaction among club members with various seasonal events. C8. Tournament. Responsible coordinating tournament play in events sponsored by the GOPB, or for which GOPB expertise has been requested. Section A. Process for Amending these Bylaws. The Board may at any time develop an amendment to these Bylaws and present it to the membership for approval. A two-thirds majority vote of the membership present shall be required to adopt any new amendment to the bylaws. Any member in good standing of the club may propose an amendment to these bylaws. The proposed amendment shall be delivered to the President in writing with a statement setting forth the reasons for the proposed amendment. The proposed amendment must be approved by the Board at a regular or special Board meeting before presenting it to the membership. Section A. Conflict of Interest. A conflict of interest occurs when a person under a duty to promote the interests of the GOPB is in a position to promote a competing interest instead. This person includes all directors or officers, and committee members. Undisclosed or unresolved conflicts of interest are a breach of the duty to act in the best interests of the GOPB and work to the detriment of the GOPB. Section B. Liability of Officers. No officer of the GOPB shall be personally liable to its creditors or for any indebtedness or liability and any and all creditors shall look only to the Corporation’s assets for payment. Section C. Liability of Members. No member of the GOPB shall be personally liable to its creditors or for any indebtedness or liability and any and all creditors shall look only to the Corporation’s assets for payment. Section D. Right to Indemnification. Each person who was or is a party to or is threatened to be made a party to or is involved in any action, suit, or proceeding, whether civil, criminal, administrative, or investigative, formal or informal (hereinafter referred to as a "proceeding"), by reason of the fact that he or she, or a person of whom he or she is the legal representative, is or was an officer of the Corporation or, whether the basis of the proceeding is alleged action in an official capacity as an officer, or agent or in any other capacity while serving as an officer, shall be indemnified and held harmless by the Corporation to the fullest extent authorized by state law, as it exists or may be amended (but, in the case of any such amendment, only to the extent that the amendment permits the corporation to provide broader indemnification rights than state law permitted the Corporation to provide before the amendment), against all expenses, liability, and loss (including attorney fees, judgments, fines, ERISA excise taxes, or penalties and amounts to be paid in settlement) reasonably incurred by the person in connection therewith, and the indemnification shall continue for a person who has ceased to be an officer and shall inure to the benefit of his or her heirs, executors, and administrators, the Corporation shall indemnify any such person seeking indemnification in connection with a proceeding, or part thereof, initiated by the person only if the proceeding, or part thereof, was authorized by the board of directors of the Corporation. To the extent authorized by state law, the Corporation may, but shall not be required to, pay expenses incurred in defending a proceeding in advance of its final disposition. The right to indemnification conferred in this article shall be a contract right. Section A. This Club may not be dissolved until all of its outstanding debts have been paid. Upon dissolution, all assets and property of the Club shall be liquidated and proceeds distributed equally to all members in good standing at the time of dissolution.